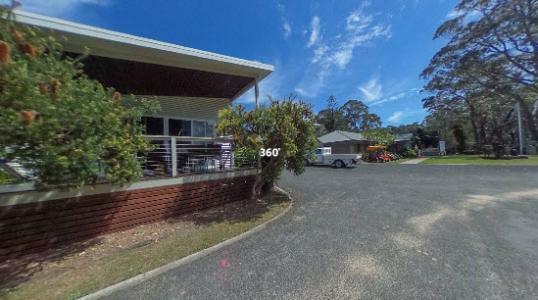 Located 15km north of Batemans Bay, BIG4 South Durras Holiday Park is just metres from Durras Main Beach and is surrounded by Murramarang National Park. 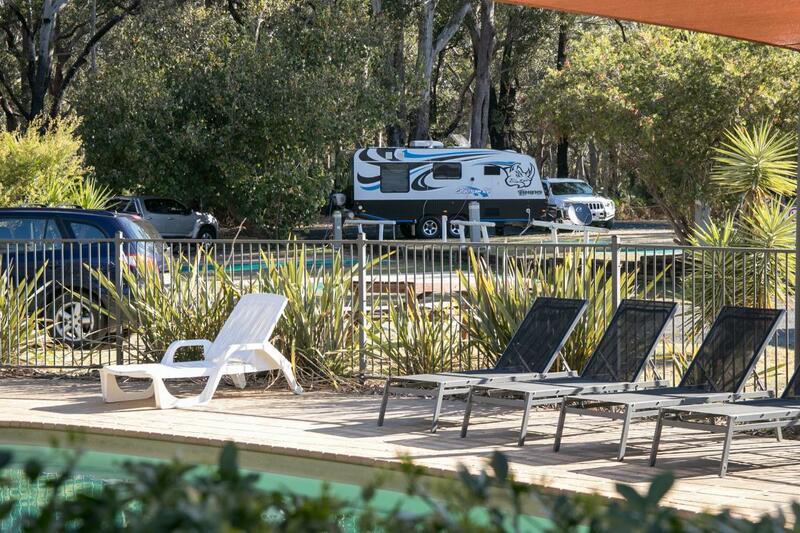 A perfect base to relax and escape the hustle and bustle, BIG4 South Durras Holiday Park offers beautiful cabins and villas, as well as grass or slab sites for caravans and camping. South Durras is a small community just north of Batemans Bay on the south coast of NSW. We spent a few days at the BIG4 South Durras Holiday Park where we were warmly greeted by the managers Steve and Leah Adams. This is a very neat and tidy park with a friendly atmosphere. 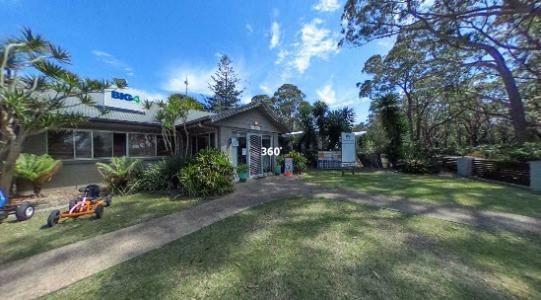 The entrance can be found along Beagle Bay Road, only a short distance from the intersection with Durras Lake Road. Plenty of space to park with the caravan in tow while checking in and receiving directions to your allocated site. If you are travelling with pets, then rest assured that the BIG4 South Durras Holiday Park has a devoted area at the front of the park where pets are welcome (I suggest you check with management before arrival). We were allocated an ensuite site (a big treat) within the dog-friendly area and easily backed onto a large level artificial grass area surrounded by native plants. The ensuite is thoughtfully equipped with hand towel and shower mat. Television reception is not very good in this area so Steve has a range of aerial leads to connect to the Park's satellite dish – very convenient and great reception. Fire pits are also available from reception for use on colder nights, during times when there are no fire-bans in place. I understand you can purchase wood from the park – or bring your own. This is a small park but guests return year after year – we spoke to several guests who holiday in this quiet local on a regular basis. It is cosy with only a few cabins and straight across the road from a lovely beach. Great walking/cycling tracks head in both directions – one towards the headland and one towards Durras Lake. We suggest you take a drive into Murramarang National Park and explore the many 4WD tracks and secluded beaches. Bore water is piped to sites and fresh water is available from tanks at the camp kitchens and each BBQ shelter. While we were staying at BIG4 South Durras Holiday Park we were joined by a couple of school groups who set up tents in designated areas and were kept busy with water activities. They were very well behaved and friendly. The caravan park is equipped with a lovely swimming pool, jumping castle, kid's playground, basketball ring, outdoor chess squares and hopscotch game painted on the path. The park has very clean amenities including one which is labelled ‘Special Needs’ – not disabled – a nice touch. A dolphin sculpture sits at the entrance. A short walk across the road to the beach allows you to spot real dolphins swimming up the coast just a few hundred metres away. Other beautiful wildlife around the park included Rainbow Lorikeets (loved the multi-grain bread mixed with honey), Crimson Rosella’s, kookaburras, lizards and lots of kangaroos. Make sure you take a torch when walking at night so you don’t run into one of these beautiful marsupials. Thank you Leah and Steve for a lovely stay and for the happy, friendly atmosphere. 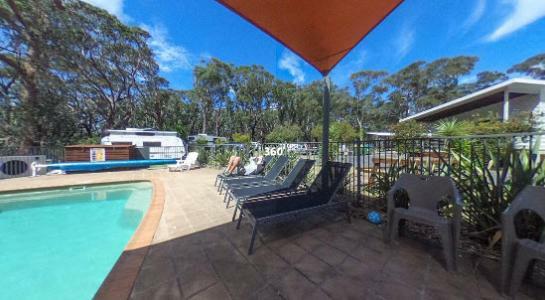 have you been to BIG4 South Durras Holiday Park? Explore BIG4 South Durras Holiday Park with RvTrips and find out where to stay, what to do and what to see. Helping caravan, motorhome and camper owners have a great holiday.